After dwelling in my chocolate inspiration, I couldn't leave out his good pal, Vanilla. 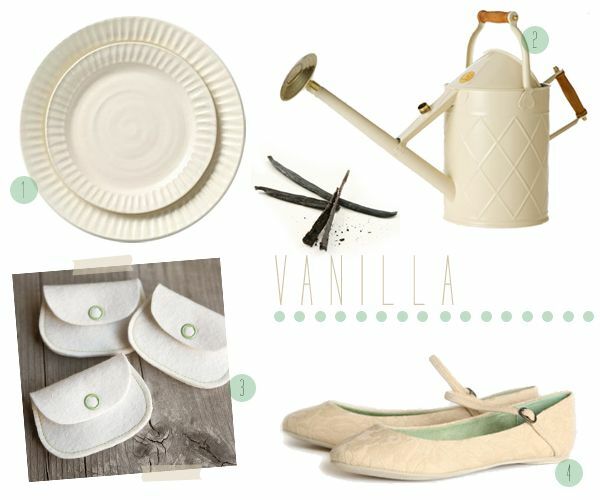 I usually lean towards more neutral color palettes, and a creamy vanilla is just perfect for anything. Oh, and don't forget to follow 6 petals on Twitter, too. More to love.